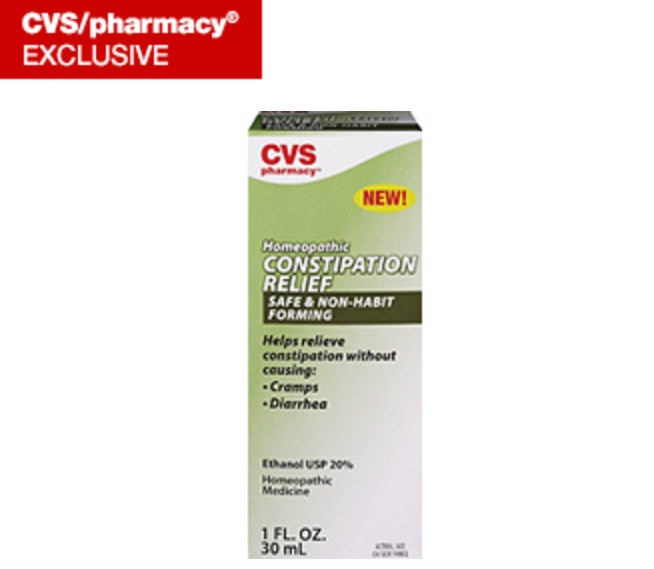 We recently told you about the “Homeopathic Constipation Relief” on sale at CVS and how it’s really nothing more than a 40-proof shot of booze and water that anyone can purchase without ID. While the drugstore chain is continuing to sell the product — which, again, contains nothing but alcohol and water — it is telling employees to set a one-drink maximum on underage customers. To dissect that statement, it appears that CVS is not necessarily going to check ID of young laxative shoppers; it’s just going to use the ol’ eyeball test to determine if maybe that customer really needs to buy six packages of constipation relief. That’s how much of the stuff blogger and chemist Yvette “Sci Babe” d’Entremont consumed on-camera to see (A) just how intoxicated she would get and (B) whether or not six doses of the product would have any relaxing effect on her bowels. The answer to A was “legally drunk,” while thankfully for Yvette, it was a resounding “no” to the second question. In response to the mild policy change at CVS, d’Entremont tells NBC that it’s ultimately up to CVS customers. “Unless consumers voice their opinions on this, we’re not going to see bad products like this pulled,” she explains. NBC Los Angeles has more information on how relaxed standards for homeopathic drugs — currently the subject of much discussion at the Federal Trade Commission — can result in over-the-counter product that has no real purpose other than giving users a mild buzz.